Did you know that sore throat and cough may be symptoms of acid reflux? And did you also know that acid reflux may be a trigger of Chronic Cough? Thanks to President Obama’s brief health scare in December 2014, more people may now recognize these symptoms and their role as an underlying medical condition that produces Chronic Cough. “The president’s symptoms are consistent with soft tissue inflammation related to acid reflux and will be treated accordingly” according to Dr. Jackson. Dr. Jackson said he ordered the CT scan, which is not routine for patients with these symptoms because he felt it was the “next prudent step,” said the White House press secretary, Josh Earnest. He said that Dr. Jackson’s diagnosis “was complete…” According to the Washington Post and other news organizations, President Obama’s symptoms included a sore throat and cough. Did you know that not all coughs are created equal? Different types of cough require different diagnostic approaches and different cough treatments. So, when it comes to cough treatment, there is no universal solution. To be effective, cough treatment must target the specific cause(s) and trigger(s) of your unique cough. Do not waste time and money and expose yourself to risks or side effects with the wrong cough treatment. Dr. Mandel Sher is a Cough Doctor. He understands the debilitating impact of Chronic Cough on living life to the fullest. 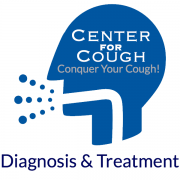 As a Chronic Cough specialist, he and the Center for Cough team offer people suffering with Chronic Cough a comprehensive diagnostic and cough treatment approach. At Center for Cough, Dr. Sher balances innovation with evidence-based medicine. All his services are recognized by Medicare and other major insurance companies and are covered medical services. Contact Dr. Mandel Sher if you or someone you know has a cough that won’t go away: 727-393-8067. Chronic Cough is a complex medical condition with multiple contributing factors. Cough treatment for Chronic Cough involves medical detective work upfront to establish an individualized profile of your unique cough. Then, a choreography of prescription and over-the-counter medications and voice exercises and therapy can begin. A common cause of Chronic Cough is an overly sensitive cough mechanism that is easily irritated to produce cough. This syndrome is called “hypersensitive cough reflex” in the medical literature. The cough reflex has three components: neurogenic, inflammatory, and behavioral. Generally, medication aimed at cooling down the cough reflex is part of the cough treatment plan. The importance of beginning with a precise diagnosis of the cause(s) and trigger(s) of your cough cannot be overstated. A sequential, trial and error approach to cough treatment is often ineffective, wastes time and money, and includes unnecessary risks and side effects of the medication. A comprehensive cough treatment approach expedites relief from cough and is based on each unique patient’s situation. The chronic cougher tends to have an increased urge to cough. It can be described as a tickle in the back of the throat. Sometimes it can be a feeling that something is stuck there. Often, there is a feeling of post nasal drip, but rarely any is produced. A hypersensitive or heightened cough reflex requires less stimuli, such as nasal secretions, airborne irritants, acid or gastroesophageal reflux, to trigger a chronic cough. What creates these feelings? Stimulation of the upper airway, esophagus, and lung can heighten or sensitize the cough reflex without actually triggering off a cough. For example, acid or even food entering the esophagus from the stomach can send signals to the cough center to become more sensitive or irritable. Allergic nasal symptoms also send signals to the cough center and increase sensitivity. 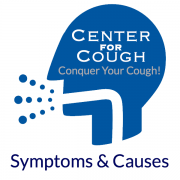 http://centerforcough.com/wp-content/uploads/2015/11/symptoms-Causes-copy.png 600 600 Center For Cough http://centerforcough.com/wp-content/uploads/2016/03/cfc-logo-300x82.png Center For Cough2015-11-11 00:55:132016-03-24 20:33:09What's Making Me Cough?